In a nutshell, a definition of drug paraphernalia would be any drug-related objects, device, tool or mechanism that is used (or can be used) to ingest drugs or contraband materials (like weed). Much like making a whiskey still is illegal, since it can be used to make non-tax paid liquor (moonshine), the Georgia legislature (and the legislative branch of every other state) has created a crime proscribing possessing drug paraphernalia. As you will read below, just like moonshining is a creation of American culture and history, how we define paraphernalia in 2018 is completely opposite of how the legal world first came to know the word “paraphernalia.” This re-coining of this now infamous word, in conjunction with its current association with a crime involving illegal drugs, has forever sullied the common definition of the word in legal circles. Similar to possessing illegal substances, in violation of the Georgia Controlled Substances Act, in writing a statute to outline paraphernalia meaning, the state of Georgia has created a law that does not require the government to prove specific intent. This means that the State is not required to show that the possessor of paraphernalia had awareness that the item was a drug ingestion device. The law on paraphernalia items creates a low level of proof for the Prosecutor to accuse or indict (if other felonies are also being charged). When an item, device, or mechanism in question has been adapted or modified to facilitate smoking, injecting or vaporing drugs, the prosecution merely needs to prove the thing to be a common appliance for use in such drug ingestion. A stronger case for the prosecution exists when they have collected forensic evidence in the form of swabs or scrapings of residue of a contraband substance or controlled drug from the surfaces of the paraphernalia. However, such additional evidence of prior drug use is not necessary when an item (e.g., roach clip, modified soft drink can, syringe) is confiscated and is clearly an item of paraphernalia. What is drug paraphernalia? In Georgia, paraphernalia is broadly defined as being any drug-related object, appliance or tool that is used (or designed to be used) for delivering, vaporizing, making or concealing illicit drugs or for taking such drugs into the human body. An example of such paraphernalia would be a bong for weed ingestion, which has marijuana residue on the surfaces of the device. Possession of this type of object can lead to the person being charged with possession of drug paraphernalia. Plus, when pot is also found, this relatively minor offense of a paraphernalia charge will be added to felony or misdemeanor drug possession. When the crimes reach distribution of drugs or trafficking, an offender can spend the remainder of his or her life in prison. A majority of our law firm’s cases involving a residence search will have both a drug charge and a paraphernalia criminal offense. Under Georgia drug laws, drug paraphernalia can be anything (made of any glass, wood, plastic, aluminum or other material) that can be used as a mechanism to ingest marijuana or other illicit drugs. Thus, if you have a Dr. Pepper can in your car, a law enforcement officer is not going to charge you with possessing paraphernalia. 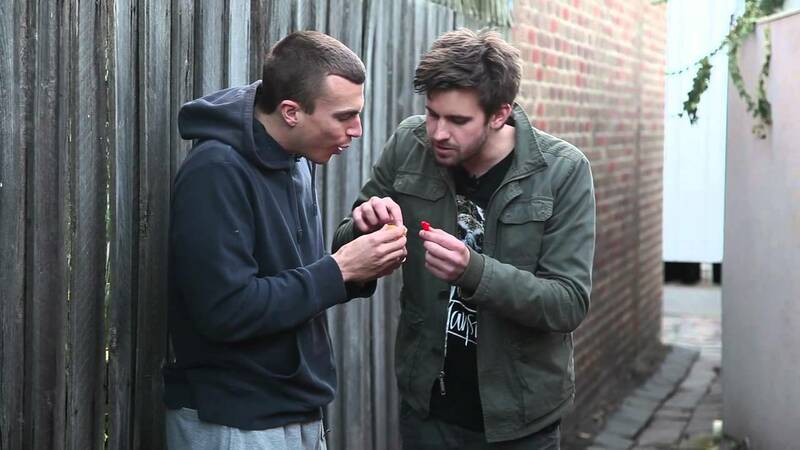 But, if the Dr. Pepper can was modified to become a drug delivery tool, by poking a Phillips head screwdriver into the bottom in order for a person to smoke rock cocaine (crack), the police can charge that person with possession of drug paraphernalia. The residue on the aluminum can may easily be tested by the GBI to prove how it has been used. Ironically, the paraphernalia dictionary definition in Black’s law dictionary has nothing to do with illegal drugs. The word pertained to a woman’s separate property or dowry. Hence, beginning in the Nixon Administration, the complete hijacking and redefinition of this archaic word, in connection to Nixon’s War on Drugs, has been forever castigated “paraphernalia” to members of the criminal underworld. Georgia laws about paraphernalia charges include two distinct statutes, O.C.G.A. 16-13-32 (enacted in 1978) and O.C.G.A. 16-13-32.1 (passed by the Georgia legislature in 1981), that making any sale or transaction of a “drug-related object” a criminal act, and the knowing possession of these same objects a crime. The 1981 law (Code Section 16-13-32.1) was passed to clarify the paraphernalia meaning, and to liberally expand the sweeping prohibition of possessing any paraphernalia items or products. Thus, merely having dominion or control over such items can be adequate, circumstantial evidence of a violation of the paraphernalia drug statutes. So, a person’s physical possession of an item otherwise may be lawful (e.g., a 6-inch long piece of ¼” diameter glass pipe as found in any chemistry lab) can constitute a violation or the Georgia paraphernalia law, especially when residue from prior drug usage is proven. Secondary questions about WHERE the paraphernalia was found (i.e., inside a car with no occupants or in an apartment with multiple tenants, on the dining room table) may provide a “lack of constructive possession” defense to a paraphernalia criminal charge. What is paraphernalia? When someone is found possessing drug paraphernalia in Georgia, simply possessing the item or device is the crime. The police do not have to catch that individual in the act of using the drug paraphernalia. Under Georgia laws, this is a misdemeanor offense. Generally, because possessing paraphernalia is a misdemeanor charge, the type of paraphernalia does not normally influence the sentencing by a criminal court judge. Marijuana paraphernalia is (by far) the most common drug paraphernalia confiscated by police, as part of an arrest. Next in likelihood is for cocaine ingestion, such as crack. Plus, heroin has surged in popularity and more cases of drug paraphernalia for opioids are next in popularity. Paraphernalia drug crimes, when no significant quantity of unsmoked marijuana is also present, are treated (by the prosecutor) as minor offenses in Georgia. In motion hearings, or sentencing, our criminal lawyers sometimes use the analogy of being in a situation like a police officer finding an empty, open container of beer in the floorboard of the back seat of a vehicle being driven by an underage driver. A paraphernalia charge in Georgia needs to be handled with an eye toward either winning on a pre-trial suppression motion, or the criminal attorney finding a negotiated plea that allows the Client’s record to be cleared, after successfully finishing probation. If evidence was obtained by police illegally, fighting to have the drug paraphernalia charge dropped entirely is worth the effort and money, since these types of charges are likely to be followed by other drug charges, for this individual. Potential penalties for a drug paraphernalia charge in Georgia usually includes a monetary fine, likely probation and monthly supervision fees, plus possible random drug tests. But as with most crimes, the manner in which an accused citizen is treated at court in Georgia, for a paraphernalia charge depends largely on if it is a first offense. As a general rule, towards a person charged with a 1st offense crime of possessing paraphernalia, most prosecutors and judges are lenient. On the other hand, when some judges hear that this is a second or 3rd paraphernalia or drug possession charge, potential jail or prison time may be likely. Like the situation of repeat DUI-DWI offenders, judges know that jailed people don’t drive. Similarly, no drugs are in a jail cell or prison, and this prevents re-offending. Jail is the last thing judges want to do in these types of cases, but it is sometimes used. This last paraphernalia penalty (random testing) is usually reserved for an accused citizen with a history of prior possession of drug offenses. As with all misdemeanor offenses, jail time of up to 12 months can be assessed, but this is typically reserved for offenders who have been through the criminal justice system several times on drug or paraphernalia crimes. 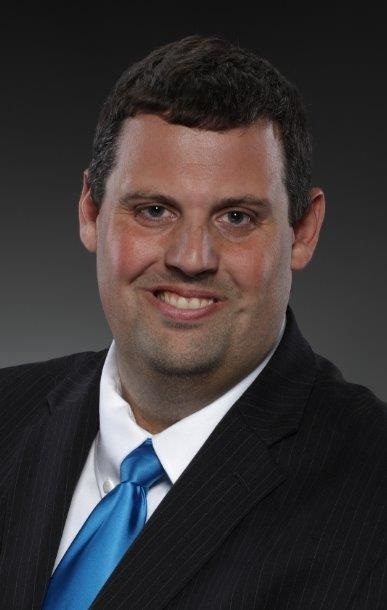 Cory Yager is an ex-cop with nearly a decade serving as a police officer. As a police officer, Mr. Yager issued thousands of tickets and made over 1,000 arrests, including for drug possession and drug paraphernalia charges. He and his two law partners, Bubba Head and Larry Kohn are all specialists in criminal defense and are published legal book authors. Collectively, these three Atlanta attorneys bring over 70 years of defending drug and alcohol cases to the table. All are Georgia Super Lawyers. All have very high attorney ratings. Plus, our law office offers a FREE lawyer consultation, and attorney fee payment plans. Call us NOW, our attorneys are available 24-hours, 7 days a week: (404) 567-5515. Georgia and most other states have drug paraphernalia laws that criminalize the possession of any drug-related object that can be used to grow, produce, process, store, ingest, inhale, or inject illegal drugs. These illegal items include, but are not limited to: glass pipes, bongs, packaging materials (bags), digital scales, and syringes. In the state of Georgia, drug laws are broad, and cover a wide range of seemingly innocent items that someone may use to do drugs or sell drugs such as marijuana or a controlled substance. While the discovery of “pot” paraphernalia by police make up most of the arrests for possession, Georgia drug possession laws also include any item related to substances like crack, cocaine, heroin, or a designer drug or synthetic compound. The number (prior drug convictions, if any). 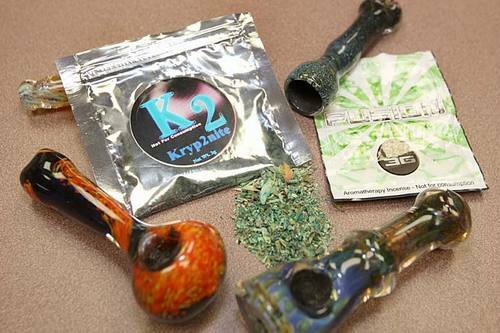 What Happens When Police Discover Paraphernalia During a Traffic Stop? 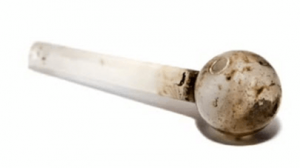 During an inventory search of your vehicle, the police may discover a glass pipe with marijuana or crack residue, and add this pipe (or other drug related object) to their ongoing investigation for driving under the influence of drugs. Clues an officer will look for are the smell of marijuana and the condition of your eyes. Are they red and watery? Also, is your speech slurred or does what you say not make sense? A small percentage of our clients are in possession of paraphernalia when police pull them over. While this evidence can be very troubling, it is in no way an indication of a hopeless case. Many legal challenges can be made against the police search and seizure methods. All of the prosecutor’s evidence against you can be challenged, and the evidence can become inadmissible if the reason for pulling you over was unconstitutional. The presence of drug-related objects in your car can lead to your arrest for felony drug possession, or possession with intent to distribute. Both charges are extremely serious in the state of Georgia, and you can expect extended jail time if you are found guilty. The time to call Larry Kohn or Cory Yager is now while there is still time to plan a solid defense. Call us anytime day or night at (404) 567-5515 and speak directly to an attorney. O.C.G.A. 16-13-32 (enacted in 1978), and O.C.G.A. 16-13-32.1 (enacted in 1981), make criminal any sale or transaction of a drug-related object a crime, and possession of these same objects a criminal act. The second law specifies “what is drug paraphernalia” and how broad and comprehensive the prohibition of any paraphernalia items or product can be. These drug use items can be adequate evidence of circumstantial evidence of a violation of the GA paraphernalia drug statutes. This means that if the police find an otherwise lawful (e.g., a 6-inch long piece of ¼” diameter plastic pipe) household item either on your person or in your vehicle, this can be a violation of Georgia law, especially if residue from prior use is discovered. Click here to compare the variances of drug possession charges by state. What Are the Penalties for 1st, 2nd and 3rd Drug Paraphernalia Offenses in Georgia? The conviction for a first time drug paraphernalia offense is a misdemeanor, and carries no minimum or maximum jail time or fine. A second drug paraphernalia conviction is a high and aggravated misdemeanor. Any jail sentence cannot be shortened to less than 26 days of every 30 days of the sentence. For example, a 60-day jail sentence will mean no less than 52 days in jail. A 3rd paraphernalia conviction carries a sentence of from 1 to 5 years in state prison, plus a fine of not more than $5000. Four or more convictions increase state prison time longer and longer. Does a Prior Felony Intent to Distribute Drugs Conviction Affect a Pending Drug Paraphernalia Possession Charge? 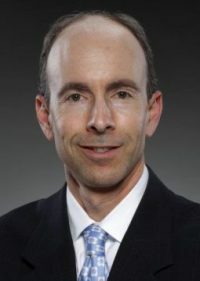 If you already have a prior intent to distribute felony drug conviction on your criminal record, and you are later arrested for misdemeanor possession of two small bags of marijuana and drug-related objects (drug paraphernalia), and nothing else, such evidence collected by police, without more evidence, will not support a jury verdict of drug possession with intent to distribute. Where no additional evidence of intent to distribute is offered, such as scales, drug paraphernalia, large amounts of cash, division of drugs into individual packages, or prior conviction of possession with intent to distribute, expert testimony is critical, and conviction for possession of drugs with intent to distribute cannot be sustained without such evidence. Parris v. State, 226 Ga.App. 854 (1997). On the other hand, possession of drug paraphernalia (when felony drug quantities are part of the evidence collected) can be a piece of the Prosecution’s case for possession with intent to distribute or drug trafficking. This Georgia appellate case talking about the State trying to establish “constructive possession” of drugs found in the same vehicle as the driver, highlights what types and categories of evidence is sufficient to convict. Circumstances showing an intent to exercise control over drugs, as required to establish constructive possession, include a defendant’s attempts to flee or elude police; inconsistent explanations by the defendant for his or her behavior; the presence of significant amounts of contraband and drug paraphernalia in plain view; the defendant’s possession of large amounts of cash, other indicia of the sale of drugs, or drug-related paraphernalia; evidence that the defendant was under the influence of drugs; or drug residue found on the defendant. Kier v. State, 292 Ga.App. 208 (2008). Contact our Atlanta criminal defense attorneys Larry Kohn, Cory Yager, or Bubba Head for the best drug paraphernalia defense, in ANY Georgia county. We travel across the state, if needed, to defend citizens who have way too much to lose to put a drug-related objects conviction on their criminal record. By knowing all plea alternatives to a paraphernalia guilty plea, and being able to present the best option for our client, we can improve our clients’ options in almost EVERY case. Plus, remember that 100% of defendants who face paraphernalia drug charges who plead guilty without a lawyer, are FOUND Guilty. 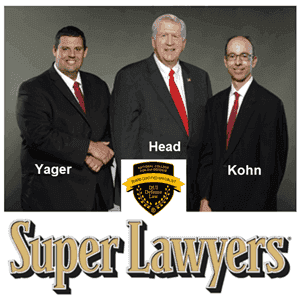 Larry Kohn, Cory Yager, and William C. Head are all Super Lawyers who have thousands of successful criminal cases involving drugs and alcohol under their belts. What other criminal defense law firm in Georgia has three partners with over 575 AVVO 5-star ratings? You will discover that our criminal justice law firm has better credentials and more expertise than virtually any other Georgia criminal defense law firm. Your initial lawyer consultation is FREE. (404) 567-5515 . Since no one PLANS to be arrested, we work with clients on how to cover legal fees and court costs. We offer attorney payment plans, and can explain payment options for you to be able to effectively fight your criminal charges. Regardless of whatever stage of the court proceedings we must pursue, we will discuss the cost in order to achieve the best outcome for you. If you have been charged with possession of “weed”, possession of drug paraphernalia, or if you are facing this charge in connection with other drug charges, you need to seek legal counsel from an experienced drug crimes defense attorney. Contact the firm of Kohn & Yager, LLC. today to schedule a free consultation for your case, start the process NOW by clicking the button below. What Are Schedule I Drugs in Georgia? 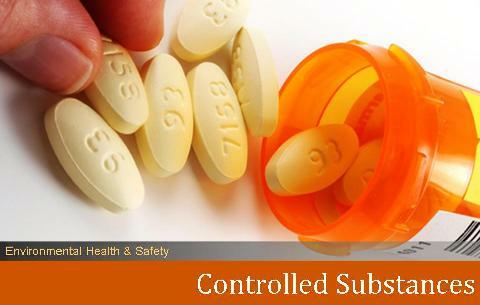 Schedule I controlled substances are the most serious classification of controlled substances, which are considered to be highly addictive and have no medical use. Drugs are classified on one of of four lists: Schedule I, Schedule II, Schedule III, or Schedule IV. In Georgia, the Schedule I list includes marijuana. Other Schedule I drugs include heroin, ecstasy, and LSD. The penalties for possessing a Schedule I drug could ruin your life: You could spend time in jail, lose your job or property, and your license. 6 months for a first offense, a year for a second offense, and after that, 2-year suspensions. Depending on your unique situation, you could pay a fine of up to $1,000 and spend a year in jail. More than an ounce of marijuana jumps to a felony, and the judge can order fines and jail time. If you are facing drug charges, you need an attorney with experience to help you fight your charges. Protect your future and fight to keep your good name intact by contacting the attorneys at Kohn & Yager, LLC. today , call (404)567-5515 or fill out the form below. What is Juvenile Substance Abuse? Some teenagers may experiment with drugs. While marijuana is one of the most commonly used substances, teens and adolescents may have access to other illegal drugs, take their parents’ medications illegally, or inhale household chemicals. Parents may be held responsible for their underage children’s behavior, and your child is not considered an adult until they are 17 years of age. 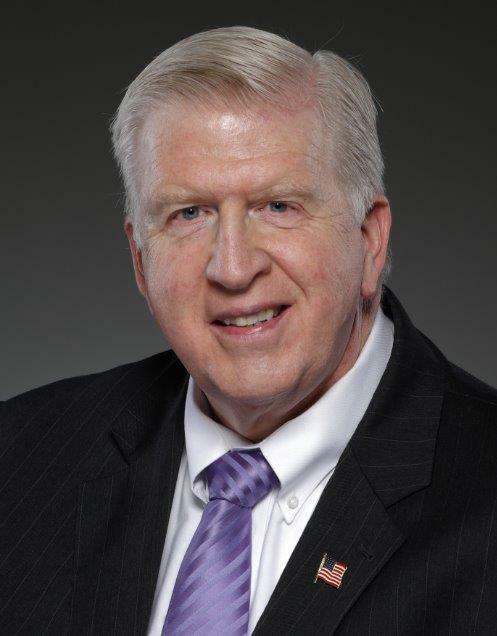 Larry Kohn and Cory Yager can help if your child has been arrested. As a parent, you can be held liable for your children’s drug use if it can be proven that you knew your child took drugs and did not take appropriate steps to help. Do not ignore it if you suspect drug use! If you find drugs, you must destroy them or give them to the police unless you want to face possession charges. If you smoke cannabis or take drugs in the home, that is child abuse. If under 17, a first offense may bring no more than a warning. Between ages 10 and 17, Youth Court is a possibility. Parents who allow drugs to be used or who use drugs in the home may lose custody of their children and face other charges. Whether you or your juvenile child have been charged with drug use, you need the guidance of experienced attorneys at Kohn & Yager, LLC. Schedule a FREE consultation to understand the charges against you or your child and how you can fight for your family. Protect your future and fight to keep your good name intact by contacting the attorneys at Kohn & Yager, LLC. today. Simply start by calling us at (404) 567-5515 or clicking the button below. Drug possession charges are serious at both the state and federal level. However, charges of possession with intent to distribute are subject to more serious penalties. Under Georgia and federal law, charges of possession with intent to distribute can be filed if an individual is found to have a certain amount of a controlled substance. Distribution can also be defined as simply giving the drug to someone else. Since possession with intent to distribute is a felony in Georgia, a conviction will result in many long-term consequences that will play out long after your initial penalties have been served. A felony conviction may keep you from being hired for certain jobs, securing employment or even finding a place to live. Because this is such a serious charge, it is essential that you work with an experienced drug crimes defense attorney as soon as possible after your arrest. Protect your future and fight to keep you good name intact by contacting the attorneys at Kohn & Yager today.